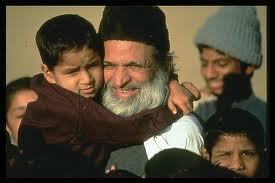 Abdul Sattar Edhi is Pakistan well known personality famous for his charity work. Edhi also called Mother Teresa of Pakistan. 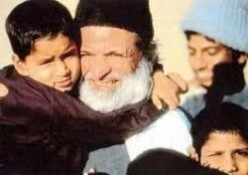 Edhi was born social worker he was born in a poor family and started his charity work in his childhood. Edhi is still living a very simple life despite millions of dollar budget of his The Edhi foundation he wears ordinary clothes with a pair of slippers. Edhi is serving humanity without distinguishing of caste, color, culture and religion. 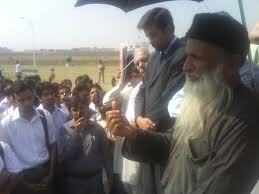 Abdul Sattar Edhi charity work and life are worth following for everyone. According to Edhi from start of his charity work he never absent from his duty now his family members are also part of his charity work and noble mission. Due to his expanding charity work Edhi travelled several other countries and his name is a symbol of humanity in Pakistan and abroad. 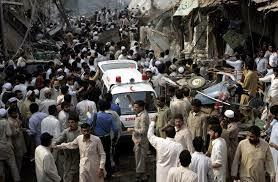 Edhi also provided aid after worst New Orleans hurricane in in the USA. 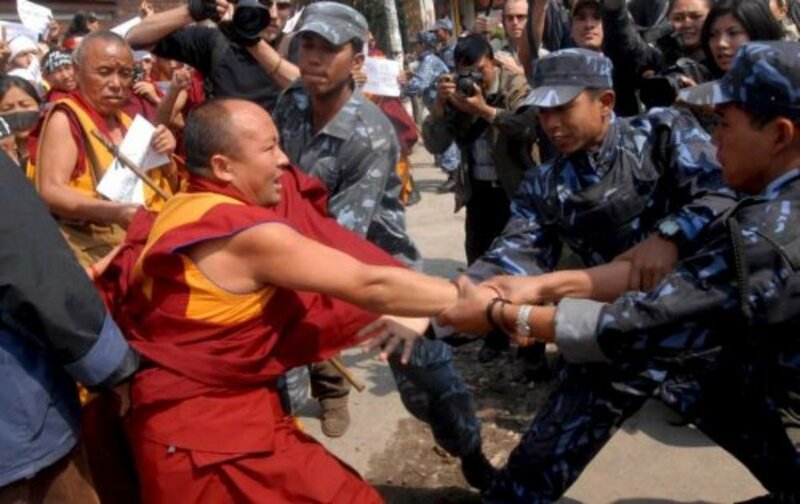 Several European and Asian countries awarded him and admitted his efforts to suffering humanity. 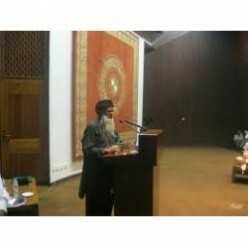 Edhi also received a doctorate degree from Institute of Business Administration Karachi. He also received a Lenin award in Russia and Gandhi award in India. Edhi was also recommended for Noble Prize by former Pakistan Prime Minister Yousuf Raza Gilani. 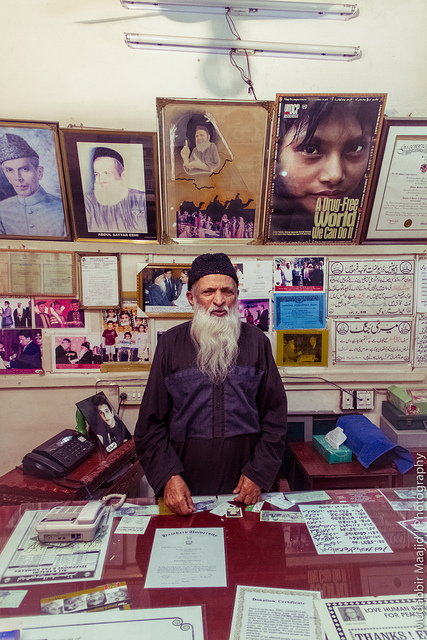 Abdul Sattar Edhi is founder and chairman of Edhi foundation. 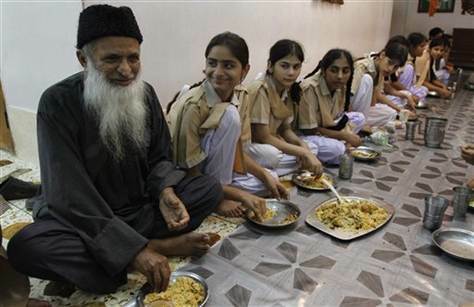 Edhi foundation is a non social warfare organization in Pakistan and largest charity organization in Pakistan. Along with Edhi his wife, son and daughter are also active members of Edhi foundation. 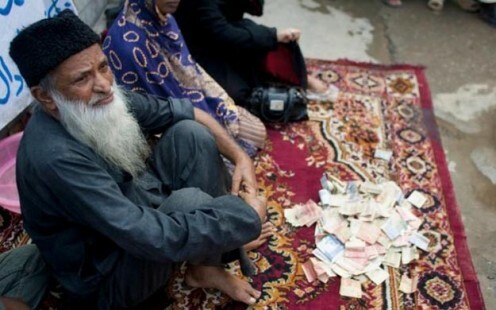 Abdul Sattar Edhi started his charity work only with few rupees in front of his house with one small tent now monthly budged of his Edhi foundation has crossed several million dollars. 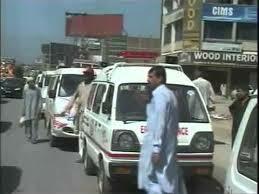 Edhi foundation has the largest net work of ambulances, orphanage, child centers and old homes. 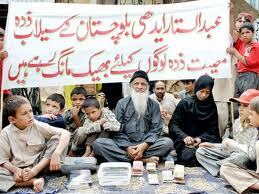 Public donations are the main source of Edhi income now Edhi has started his charity activities out of Pakistan also. 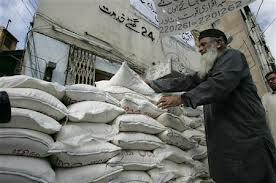 Edhi Foundation is taking part in disaster relief activities in several Asian and European countries. 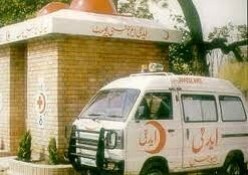 According to Guinness Book of world record Edhi foundation has the largest network of Ambulances.These ambulances are twenty four hours available for charitable service. In case of any disaster these ambulance service react immediately. Several emergency ambulance centers are also available on main highways, in case of any accident they react immediately and play a vital role in saving the life of people. Edhi foundation is running several old houses in every part of the country. These centers are providing refuge, food and clothes to thousands old people, women, children and infants some of them leave abundant by their families and some of them find hard to get daily necessities of life in tough economic conditions. Edhi foundation is also running Maatch Goth graveyard in Karachi. All burial services are free and several people are working there. This graveyard has sixty five thousand unknown graves. People who died on foot paths Edhi volunteers collected their bodies and after their last religious ceremony they buried here. Edhi foundation also collected fingerprints of every person who buried here and through computer record, we can identify buried person later. 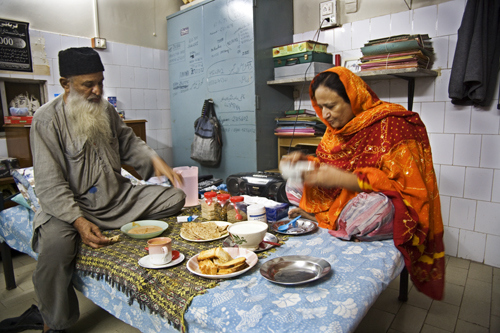 Edhi Foundation has a wide network of free medical services. Most of free medical centers are working in poor areas of the city. Qualified doctors are available in these hospitals and serving most poor community of the country without any charges. 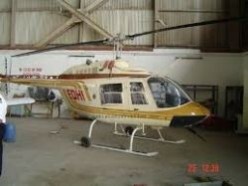 Edhi has own helicopter equipped with proper medical facilities. 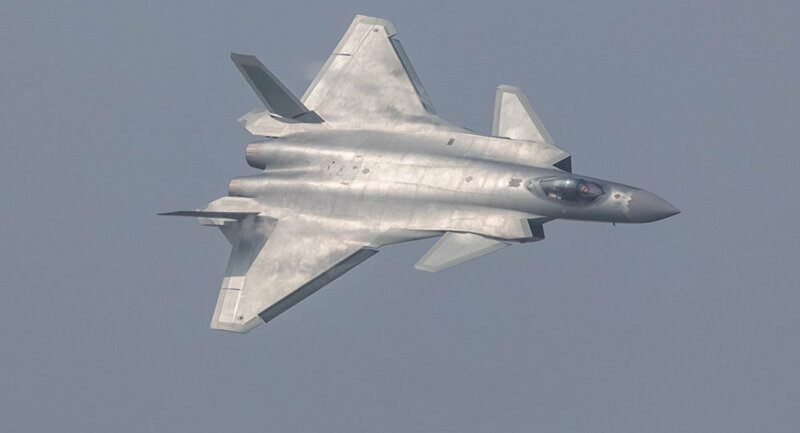 Several countries recognized Edhis efforts and awarded him prestigious awards. 25 June 2013 Abdul Sattar Edhi lost his life due to Kidney failure. He was 88 years old. Large number of people attended his funeral, including army chief Raheel Sharif, Prime Minister Nawaz Sharif and large number of ordinary people. He was laid to rest at the Edhi village in Karachi. After Abdul Sattar Edhi death, his wife Bilquis Edhi and son Faisal Edhi is trying hard to complete his mission. 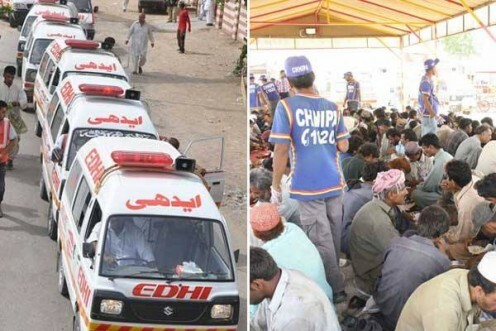 All Edhi centers are working under supervision of Faisal Edhi and Bilquis Edhi. Llarge number of people are also supporting Edhi mission with their work and donations. Charity work is a noble cause and highly appreciated in Pakistan. People of Pakistan paid large amount of charity to help these organizations. After the success of Edhi foundation several other organizations are also trying hard and follow footsteps of Abudul Sattar Edhi. Large number of poor people belong to different cast and culture getting life support from these organizations. Do you like Abdul Sattar Edhi? Do you know which is largest charity organization in Pakistan? Great personality of his era, Abdul Sattar Edhi.